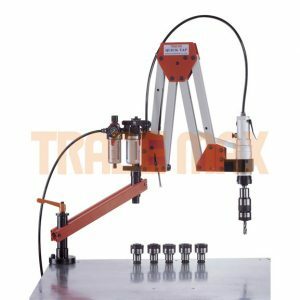 Dot peen marking machines use a pneumatically driven marking pin to stamp (or peen) a series of very small, closely spaced dots to form straight or curved lines. 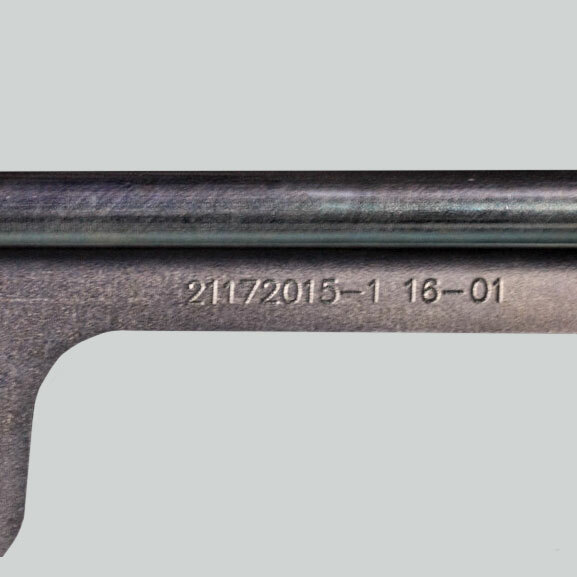 This method of marking is commonly used to mark lettering or part numbers into various metals. 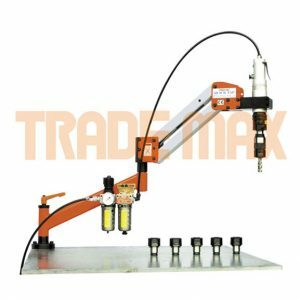 If you are looking for a looking for a dot peen marking machine, Radius Benders is happy to offer you our PEQD-100. Radius Benders are offering their customers a Dot Peen Marking Service. Dot pin marking machines create a series of very small, closely spaced dots, which enables customers to mark their parts or equipment. It is used to mark words and letters into various metal surfaces. A common application is where a part number or wording is required. This method of marking provides fast accurate marks while exerting minimal force on the part surface. The quality and depth of mark can be adjusted to suit your needs. e.g. deep or light marks. Lettering size can also be adjusted according to customer needs. 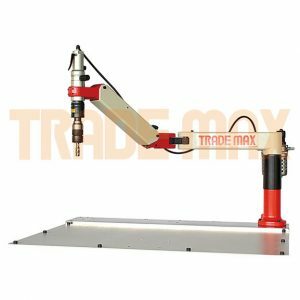 The dot peen marking machine is fixed to a bench and allows for the marking of items which can be placed in a working area approximating 150x100mm (6″x4″). 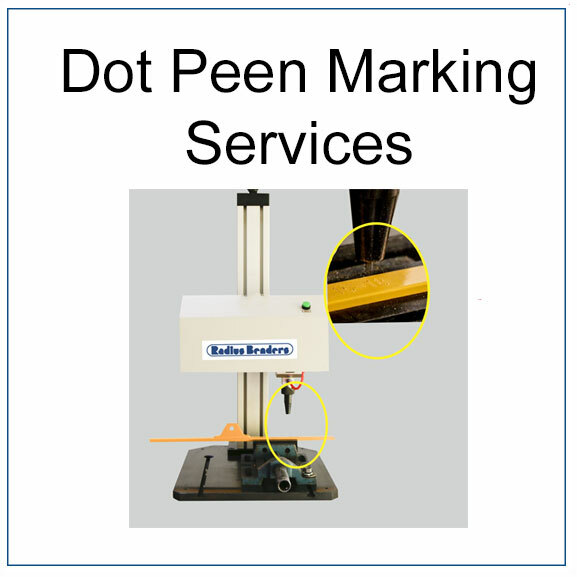 Dot peen marking is flexible and can mark through any coating or film on a part surface. Pricing for this service is calculated on the time required to complete the work. 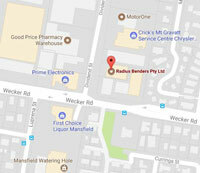 Finally, call Radius Benders today to see how our friendly staff can help you with this service.